Horsepower trumps leg power and with so much area to see, having an engine strapped to your skis allows you to explore it all. 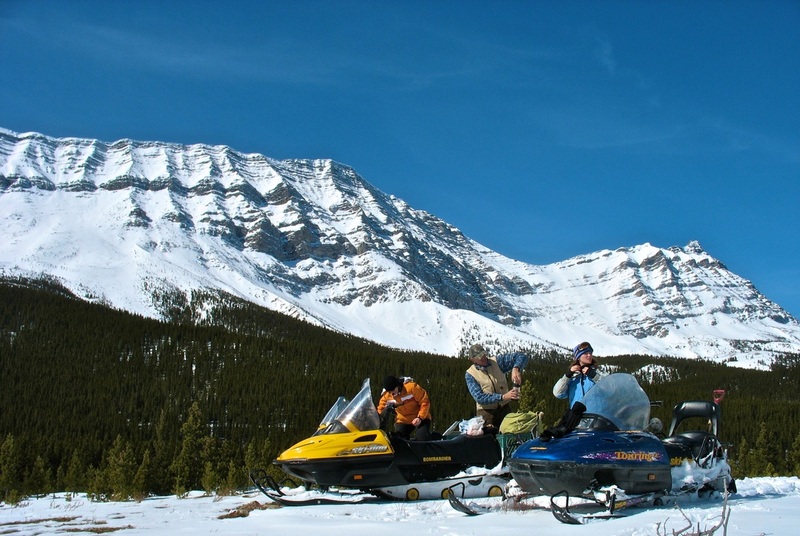 Snowmobiling is very regulated in Kananaskis, so be sure to check where you can and cannot go. Follow the rules, or sleds may be banned from the area. Kananaskis normally has less snow, extreme temperature changes, and more wind then the neighboring mountain ranges. This often results in an unstable snowpack with high avalanche danger. Always be aware of slope angle and overhead snow load. Visit Kananaskis Avalanche Forecast for the latest Avalanche Conditions. Favorite Snowmobile Areas - There are a number of areas that are great for riding, great for adventure and great for after work stress relief. Choose what suits you and get out there. Snowmobile Groups - If you get stuck, you're going to need someone there to help you out. If they get stuck, you're both going to need someone there to help you out. And if those individuals get stuck... well you better know a lot of people and the best way to meet others and find the best trails, is through a group.